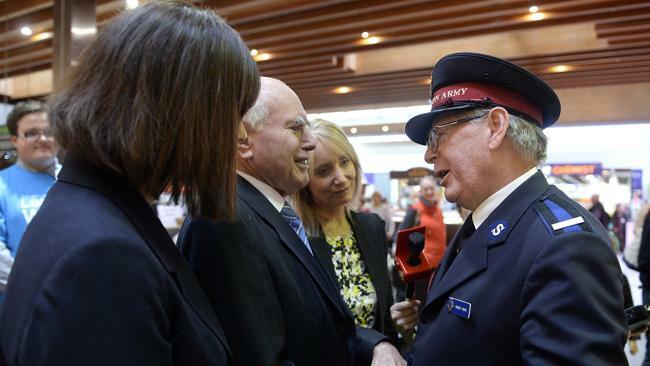 The Salvation Army in Australia receives nearly half of its income from the taxpayer. In some countries this would raise concerns about state-supported religion. It would be of further concern to such people that the Salvation Army has not only a special status of being tax-free and not required to give any information on its finances or spending, it is also exempted from other laws, such as discrimination in employment and adherence to the minimum wage laws applicable to general businesses, in certain cases. 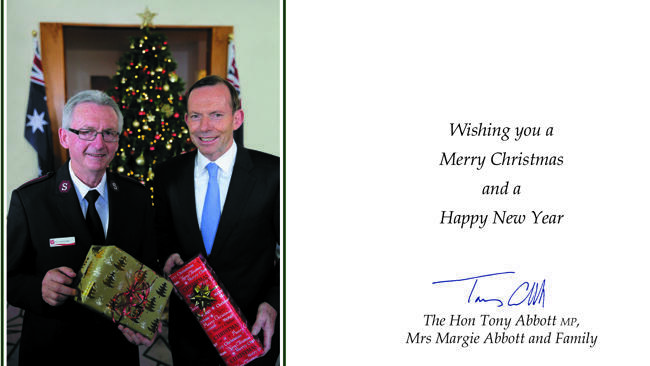 The organisation has always courted Australian politicians; especially Prime Ministers (see photos below). This is because the most money can be obtained from the Federal, rather than the State, governments. This appeared to be a typical example of the Salvation Army helping poor, old people. Not so, in reality. Mayne gives another troubling example, which continues, in some form, even today. When the federal government established the “Job Network” program to lower unemployment, it involved paying private contractors to assist the unemployed to gain skills and help with job searches. “Furthermore, because of its non-taxable status, its employees are able to benefit from a ‘salary packaging’ scheme whereby up to 30% of their income is tax free. 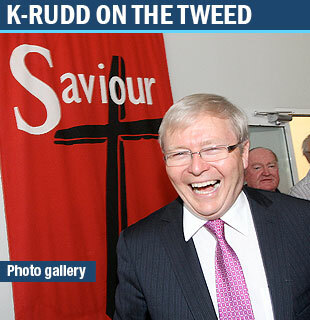 This costs the Australian taxpayer millions of dollars every year. It also gives the Salvation Army a huge advantage over its competitors,” Mayne reports. The Australian Royal Commission into Institutional Response to Child Sexual Abuse is due to hold its next hearings, beginning 28th January, on selected Salvation Army Children’s Homes. What it will not cover is the fact that government and private funds provided a profit base from this activity as the children were badly fed, accommodated and clothed. It will not, also, consider the hundreds of millions of dollars the Salvation Army has made from the, donated, land on which these Homes were built. It will almost certainly not consider the profits the organisation made from child slave labour. 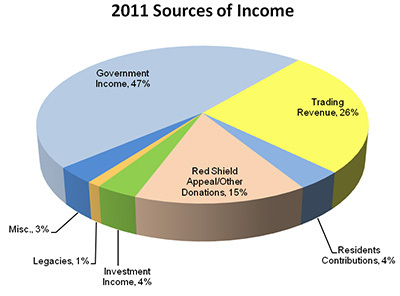 Government funding is more than triple its major fund-raiser in Australia, the Red Shield Appeal, and private and corporate donations combined. 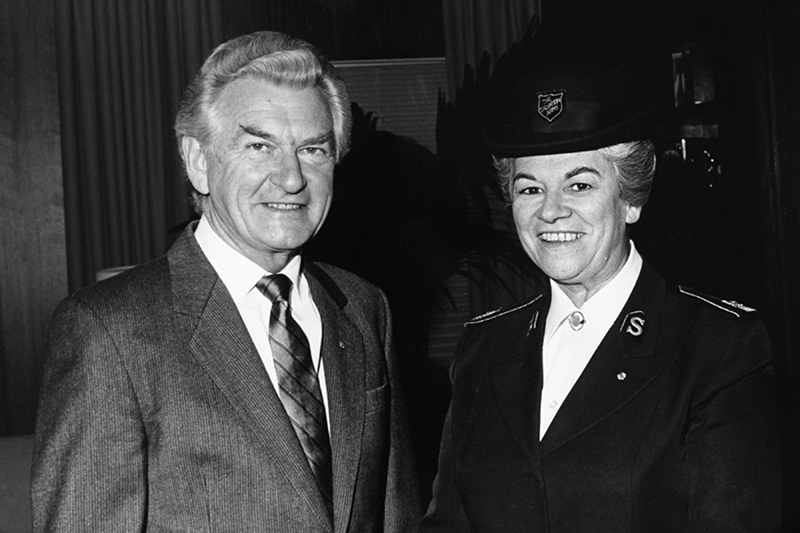 Put in a simplified way, for comparison with other countries, the Australian Salvation Army received more government money than did the whole of the U.S. organisation (Australian population 23 million – U.S. population 320 million), in recent years. 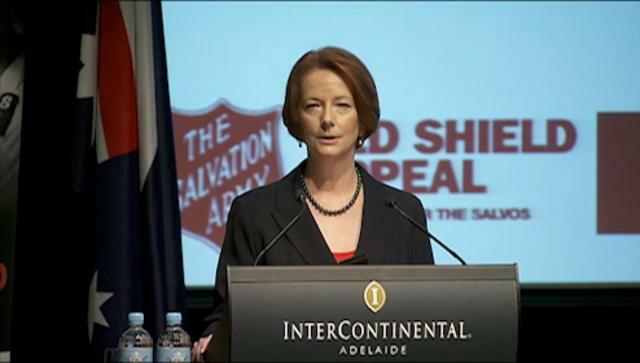 Image: Former Australian Prime Minister, Julia Gillard, opening the Salvation Army’s main fund-raiser, the Red Shield Appeal. 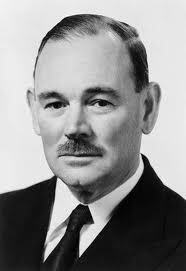 Image: Sir Paul Hasluck was a former Australian government minister, and Governor-General (Head of State) from 1969-74. Both of his parents were Salvation Army officers. Image: Eva Burrows meets the late U.S. President Ronald Reagan in 1986. This entry was posted in Uncategorized and tagged Australian Royal Commission, Australian Royal Commission into Institutional Responses to Child Sexual Abuse, child slave labor, child slave labour, Eva Burrows, Job Network, Lewin Blazevich, Lewis Blayse, Red Shield Appeal, Salvation Army, Salvation Army child abuse, Salvation Army orphanages and children’s homes, Salvos, Salvos child abuse. Bookmark the permalink. Some of the information you have above is incorrect. 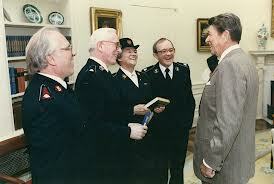 The Salvation Army have very strict accountability processes to legal and government and heirarchical entities.